Colin Meloy once wrote Ray Bradbury a letter, informing him that he "considered himself an author too." He was ten. Since then, Colin has gone on to be the singer and songwriter for the band the Decemberists, where he channels all of his weird ideas into weird songs. With the Wildwood Chronicles, he is now channeling those ideas into novels. As a kid, Carson Ellis loved exploring the woods, drawing, and nursing wounded animals back to health. 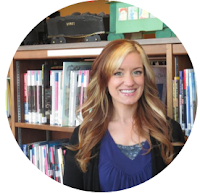 As an adult, little has changed—except she is now the acclaimed illustrator of several books for children, including Lemony Snicket’s The Composer Is Dead, Dillweed’s Revenge by Florence Parry Heide, and The Mysterious Benedict Society by Trenton Lee Stewart. Are you a forest dweller at heart? Do you love adventure, unexpectedly personified animals, and The Decemberists? Wildwood is definitely your jam. 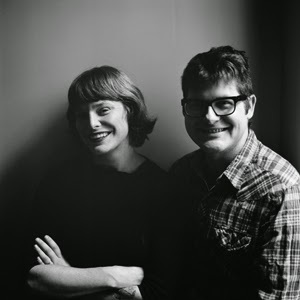 If you don't know, the author is the lead singer of the indie folk rock band, The Decemberists whose lyrics are unique, whimsical, and storytell through folklore and actual historical events. 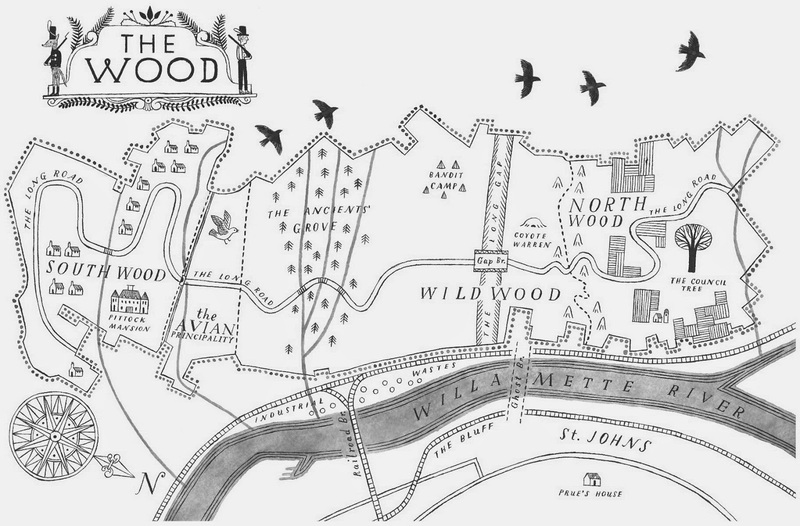 They are definitely worth checking out if you haven't, and if you enjoy something in a complete league of its own, then you'll also enjoy Wildwood. Everyone in town knows that the Impassable Wilderness is off limits. No one needs to ask questions, it's just common knowledge. And everyone respects that unspoken rule, until Prue's baby brother is taken into the forest by a murder of crows. Yes, that's right, the little black winged beasties are baby snatchers! Prue's friend Curtis joins in the search to retrieve Prue's brother and they are faced with the most unexpected things: the world as they know it is not quite what it seems. Animals can walk, talk, and even run their own government in this whimsical tale of furry high-society. There are many things to love about this book. Colin Meloy's ability to use sophisticated language doesn't fail in Wildwood. 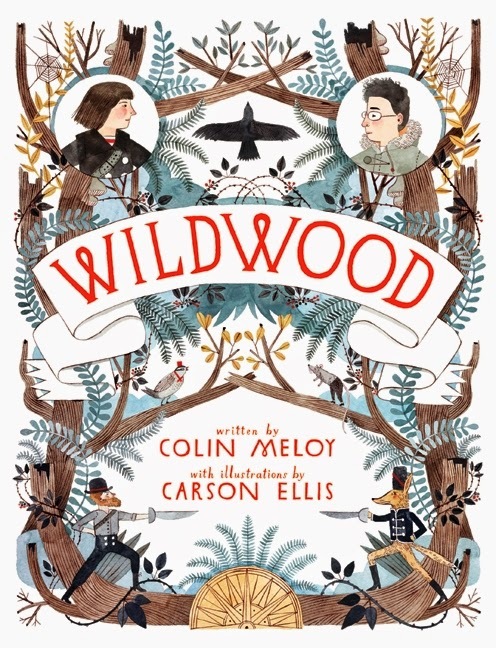 Not only is the cover designed in an amazing woodsy composition by his partner in crime, Carson Ellis, but the entirety of the book has a folksy tone to it that will seem fresh and magical, like an impassable wilderness all of its own. The possibilities are endless. I, personally, do not mind long books. However, I can see how this one could seem long and drawn out to a middle grader. It moves kind of slowly for someone who gravitates toward fast-paced books with a lot of action and movement. So if you're looking for a book to just get through, this may not be the book for you. If you're looking for a book where you can take your time, sit back, and enjoy the journey, then this is definitely worth checking out.